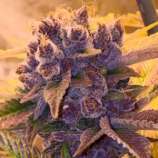 Here you can find a strain description about Last Tango and also some user-based reviews and infos directly from the SeedFinder (if available). You can also find the offers and auctions here if Last Tango cannabis seeds are on stock at MyCannapot right now. Dance the night away with the dynamic sensations of the Last Tango. Every flower unleashes, within the mind, new worlds of mystical aromas. With flavors that strum the soul, Last Tango unites two legendary dancers. Sour menthol gas combined with lavender incense. Both potent parents contribute to strong physical relaxation and creative effects. Gardens will be filled with stunning flowers radiating pink and purple. Buy Last Tango now at MyCannapot!